Sonic's been taken to another world and entered into a race unlike any other! With a little help from his friends Tails and Knuckles, he'll race to win the competition and get everyone home! BUT! 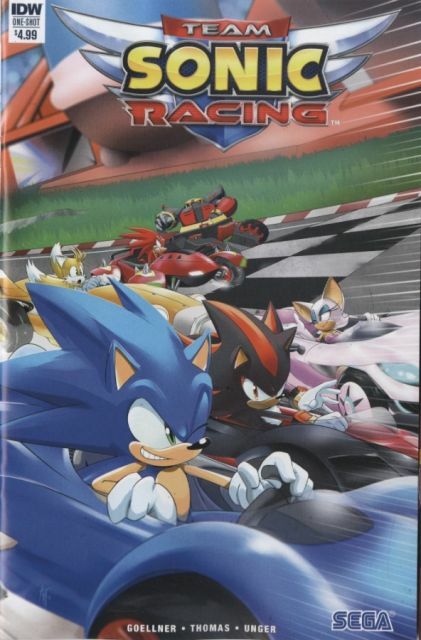 Before that, check out a comics exclusive story straight from the world of Team Sonic Racing! Leads into the upcoming game, Team Sonic Racing, available Winter 2018! Sonic, Knuckles, and Tails team up in this exciting adventure! Special extra-long one-shot!